The recent midterm election was rather interesting. Weeks leading up to November 6, almost everyone I met had an undergirding theme: “Vote Tuesday, November 6”; “Remember to vote November 6.” It was a theme that kept ringing in the ears; and on all the media outlets as it were, something is going wrong in this great country, the USA and which is anti-America and it must be stopped. It appeared that people everywhere had the same thoughts and they saw their votes as a call to action, one that demanded standing up against Trumpism. And vote, they all voted and overnight their votes paid off and their votes do count. It appeared that people from across America and beyond are grateful for the outcome of Election Day 2018. And are hoping the new landslide victory of the Democratic House will set a new tone and join the Republican Senate, work together and make a difference in caring about people—affirming such issues as Affordable Healthcare, the economy, education, immigration and do something about the guns and the gun makers! It is no wonder that despite the chill and the rain on Election Day, Connecticut voters did show up at the polls in large numbers; and interestingly the strong effort to get out the votes in Connecticut’s cities and yielded a large pool of voters for the Democratic party. Furthermore, it appears that on both the local and national political scenes, the pools of voters from the inner cities when galvanized around leaders of their constituents, committed to work with them for the common good of all. People went out in full support and hold the key to the winners: Your single vote matters. It is interesting to note how political leaders in the inner cities evolved. One cannot disparage the door-by-door, personally knocking at the doors by candidates and their supporters do help voters to better understand their candidates’ political position; and justify why folks ought to make the effort and go out and vote for them. Circulate your flyers in the homes; place your advertisement in the voters’ favorite local community newspapers. People want to see the face of the politicians and what they stand for—how is their commitment and do you share their dreams and interest? Put your posters at strategic locations and by all means, meet with local community leaders; attend their social events; and remember if you merely show up only when election time comes around, you are branded as not genuine and will lose their votes. So don’t forget to build genuine alliance in your constituency—not a show-and-tell as Election Day approaches. Your Single Vote, and other votes matter! For example, in the governor’s race in Connecticut, Governor-elect Ned Lamont came in as the winner only after all the final votes of the inner cities came in. The votes from the inner cities gave the push over the top. This holds true not only in Connecticut but also in other parts of the country. Clearly, there are lessons to learn! To neglect the inner city constituents certainly will lead to political suicide for some candidates. Politicians have to take the inner-city voters seriously. Inner city voters are no longer blind folded; voters no longer vote along party line. Now voters have moved to the next level; they are evaluating to what extent the candidate will be true to that which he/she promises to do; what has the candidates do to resolve critical issues/problems affecting their community. 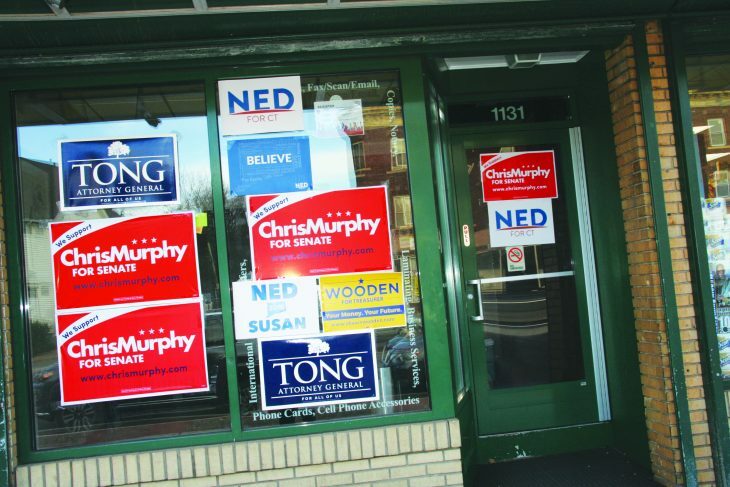 To what extent the candidates have transferred that which they declared on their political posters on storefront windows and doors and energized voters to the polls to vote. And after election and the winner is declared, how does the winner use this new power? It is important for the winner at all times to be cognizant that the voters are part of the government “of the people by the people and for the people.” A cross section of people, making up the state ought to be part a part of the engaging conversation and ought to be around the table. Yes, after election, the winner should shortly become engaged with the people; listen to their concerns, get a sense of their deep longing for quality education for their kids; their dreams for them to do well in school and get into a good college/university. 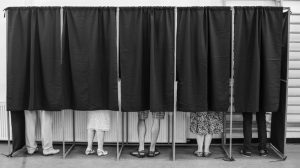 Why do voters support certain political leaders? Don’t under estimate the voters of your constituent. It does not take long for them to assess those who are genuine and have their community’s interest at heart. What does the community need? People need help to access resources, including job-training skills; people need jobs and also people need to upgrade their education; they need appropriate health care. What will happen after a political winner becomes engaged in the community? Transformation certainly takes place. And that is why a new life of engagement continues before election and after one is declared the winner. A partnership is established between the voter and the winner, resulting in the transformation of the community and constituent. And again, come the next Election Day, the entire community will lead the way to the polls—a win-win experience for the politicians and empowerment for the community: This is possible. Let’s make it work for the next election and continue to dialogue and engage the community.